This is a part of my own project which i think this small part can be shared as a showcase. anyone who interested to create his/her own clock can consider this. The use of DS3231 RTC make this project able to count timing even if it's not power up. Once the date time has set, the RTC module will counting base on the updated time. 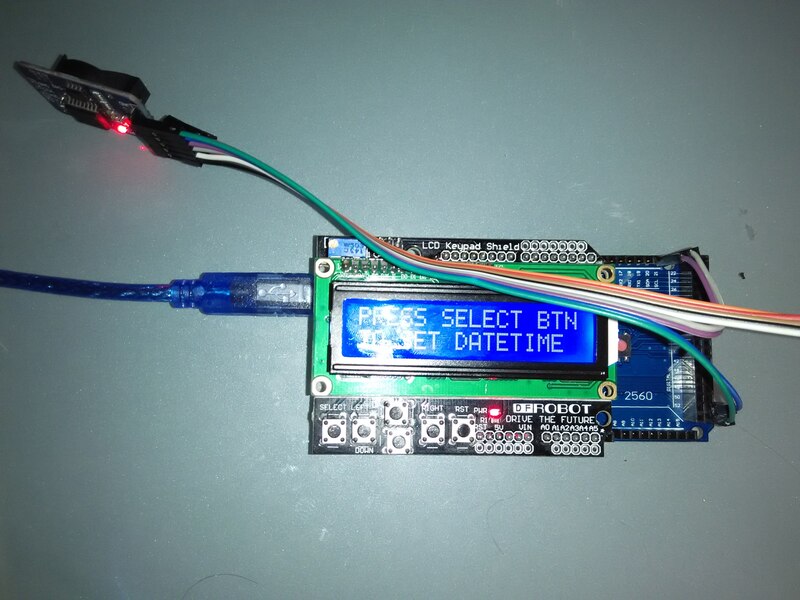 So the next time you power on the Arduino and LCD module, the date and time are still able to display correctly. The project just follow standing wiring for both LCD keypad shield and RTC module, however, due to short of VCC pin, I programmed pin 53 as a output pin and provide DC voltage for RTC module. just need to connect all pins accordingly. I used pin 53 as Vcc as not enough power pin. LCD clock source code included everything, just copy paste and run you will see something that able to work like you own watch.